While the impending and mysterious return of Daft Punk is getting us all excited, it's also left us in a bit of a robot mood... if that's even a thing for beings made of fleshy bits. And while you might not think at first that robots and music go together - at least not outside of electro - you'd actually be very wrong. So wrong, in fact, that we've even come up with a gallery with fifteen robotic examples to prove it. 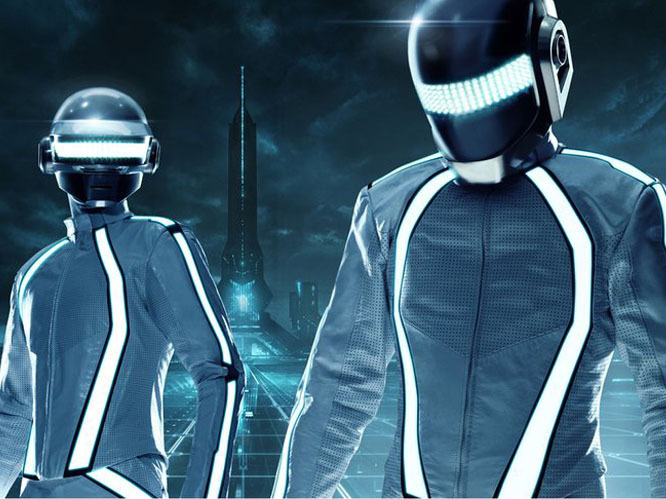 While Daft Punk themselves are, of course, included - we've also got a few surprises in there. If you've ever wondered what Bjork, 3oh!3, Janelle Monae and The Flaming Lips all have in common, well, now you know - it's something of a very robotic nature. Daft Punk: The list would be invalid if we didn't include Daft Punk straight away - the undisputed robot kings of the music world. The electronic duo once stated, "We did not choose to become robots. There was an accident in our studio. We were working on our sampler, and at exactly 9:09 am on September 9, 1999, it exploded. When we regained consciousness, we discovered that we had become robots." 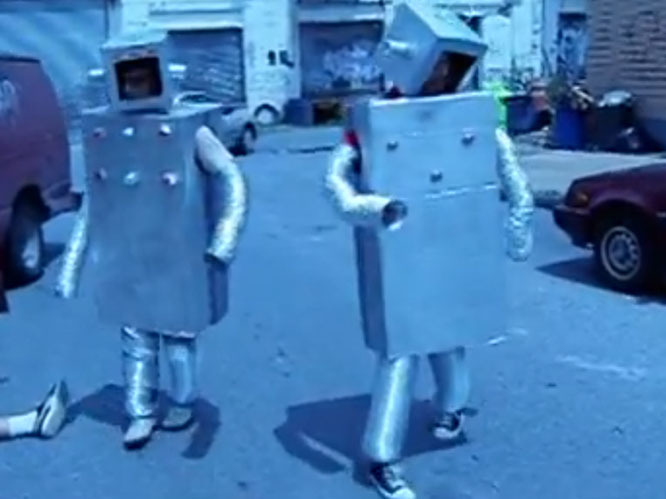 Flight of the Conchords: The New Zealand comedy duo donned robot costumes for their 'Robots' music video - although they were disappointed by the homemade costumes, saying, "We wanted ones like Daft Punk." 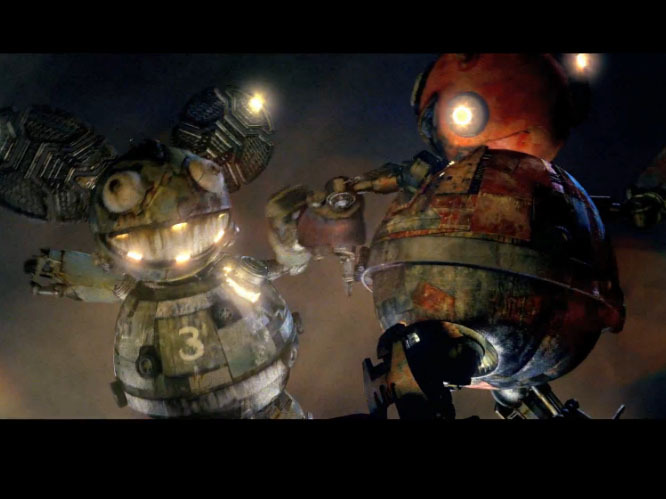 The song is the story of the aftermath of the robot rebellion, when the robots are dead. Possibly the only song to include a binary solo. Deadmau5: Deadmau is better known for being a mouse than a robot, and managed to combine the two when he teamed up with My Chemical Romance frontman Gerard Way. The 'Professional Griefers' video sees the two battling it out via their giant robots in a futuristic battledome. 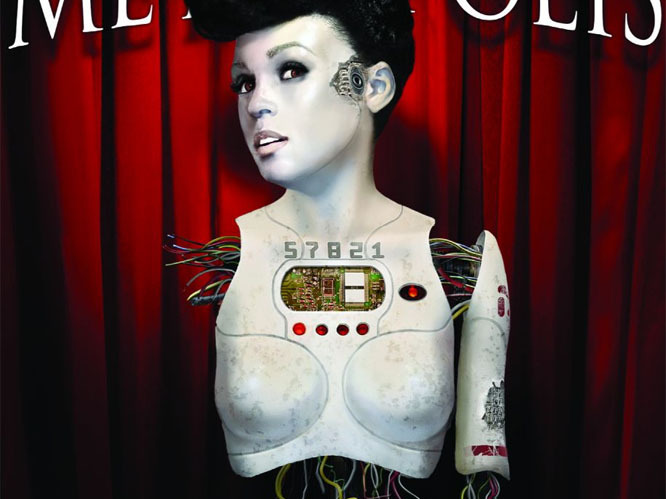 Janelle Monae: Janelle's alterego Cindi Mayweather graced the front of the Metropolis album cover. According to Monae, Mayweather is from the year 2719, and in her first EP Monae gave her alter-ego a back-story stating that she was on the run after breaking the law in her home town of Metropolis by falling in love with a human. 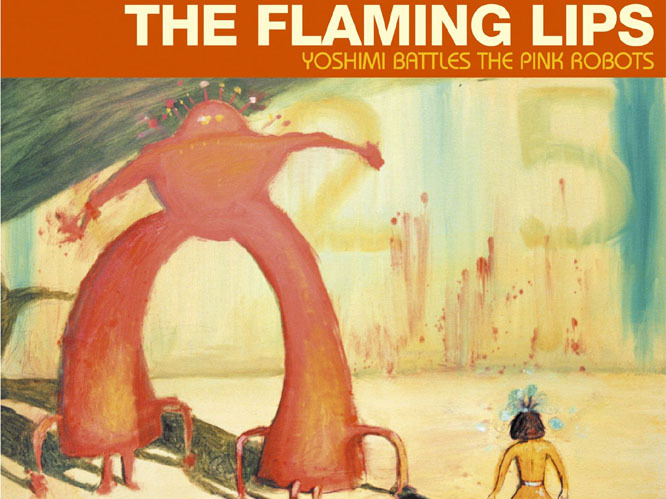 The Flaming Lips: Yoshimi Battles the Pink Robots is not a concept album, despite telling the story of Yoshimi, well, battling the pink robots. The lyrics include, "Those evil-natured robots, they're programmed to destroy us," and is widely thought to be one of the best records of the past decade. 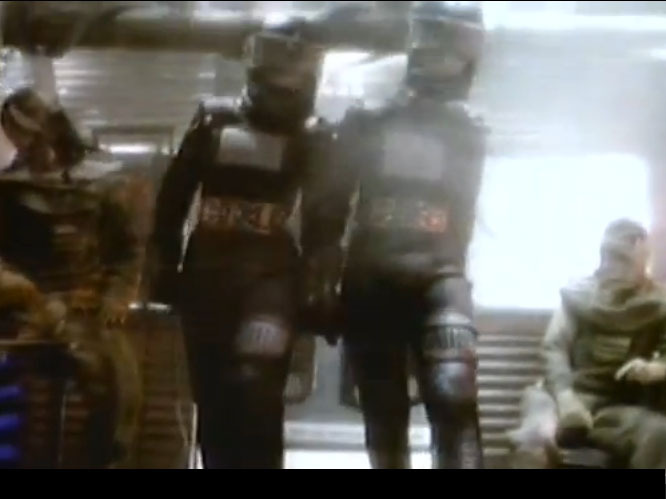 Rush: The Rush song 'The Body Electric' is about a robot who struggles to break free of the hegemony of the robots' social structure. Lyrics include, "One android on the run seeking freedom beneath a lonely desert sun." 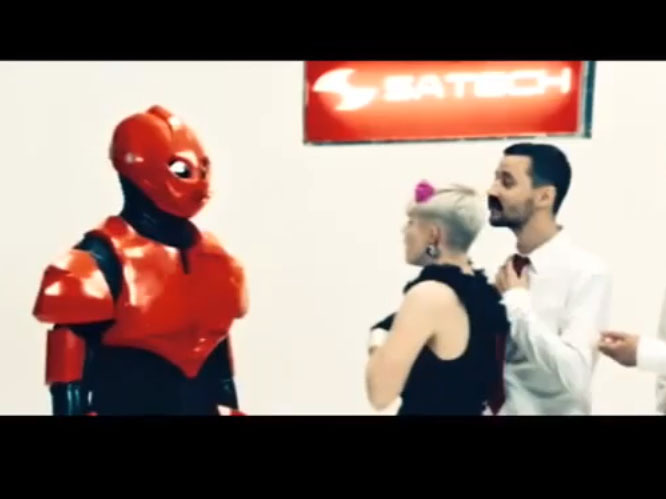 And in the video, the humanoid robot finds his freedom at the end. Bjork: Voted number one in MTV2's Best Music Videos ever and on permanent exhibition at the Museum of Modern Art in New York, Bjork's 'All Is Full of Love' video had to be included. 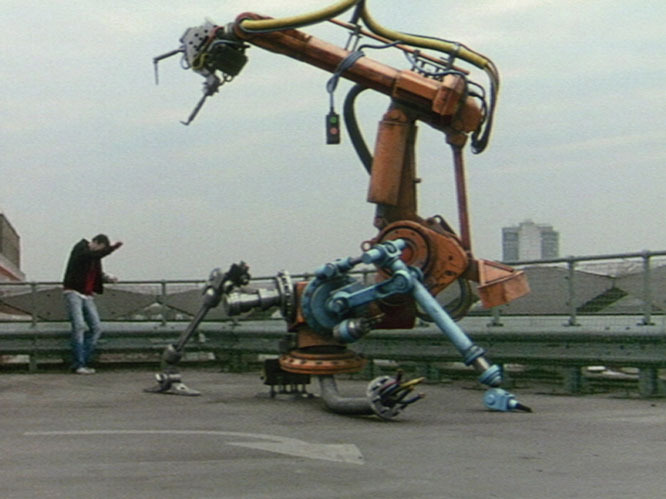 The video shows robot Bjork on a platform in the middle of the room, being assembled or repaired by mechanical arms. Even before finishing the assembly, the first Bjork robot meets another Bjork robot, who joins in the song with her. Then the robots make out. 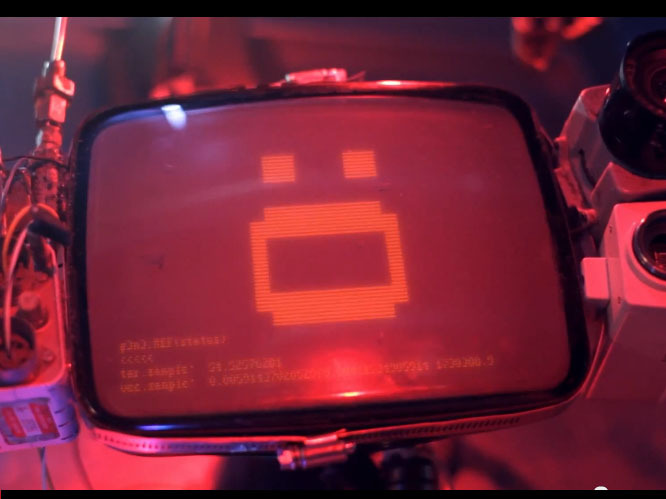 Apparat: The music video for Apparat's 'Song of Los' shows an adorable robot learning how to become human. The robot learns how to communicate and even gets drunk - all rites of passage for a human-becoming robot. Most of the video is shown through a screen being watched by one of the robot's creators. Royksopp ft Robyn: This was the first time that Royksopp featured in one of their own videos, and the video is a literal interpretation of the song. 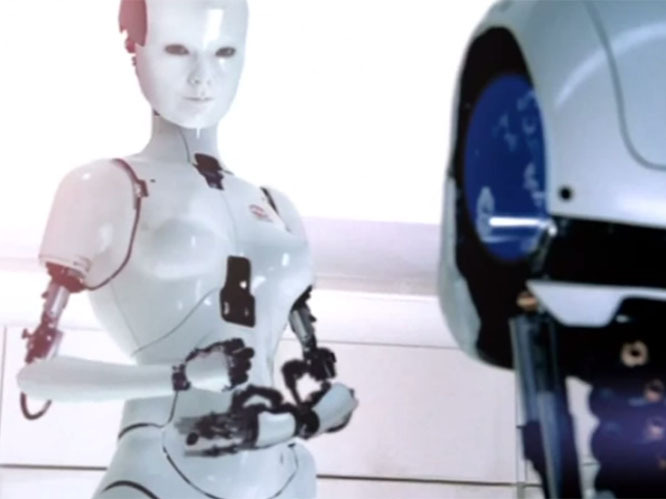 'The Girl and the Robot' video features Robyn at home in her best dress while her robot husband stays too late at the office. Not what we were expecting from the future. 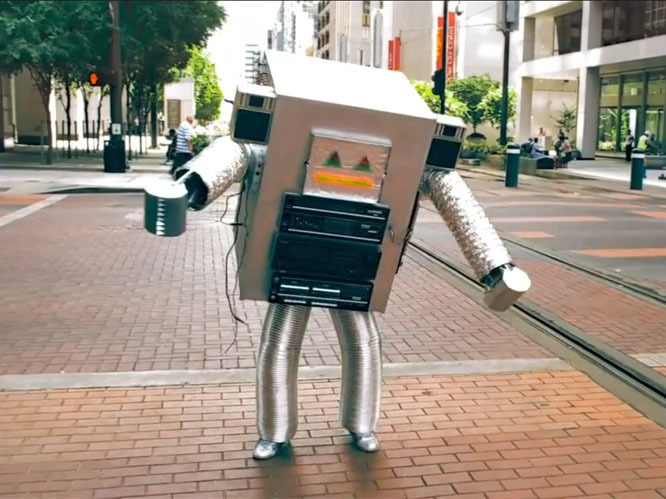 LCD Soundsystem: The unofficial video for LCD Soundsystem's 'Home' features another cute robot, as opposed to some of the others seen here. The robot tries really hard to fit in at a house party, and also does coke from the side of the suit. Oh, and there's a girl inside it, too. Flying Lotus: Surprisingly the only cartoon robots on the list - and they come from Flying Lotus. 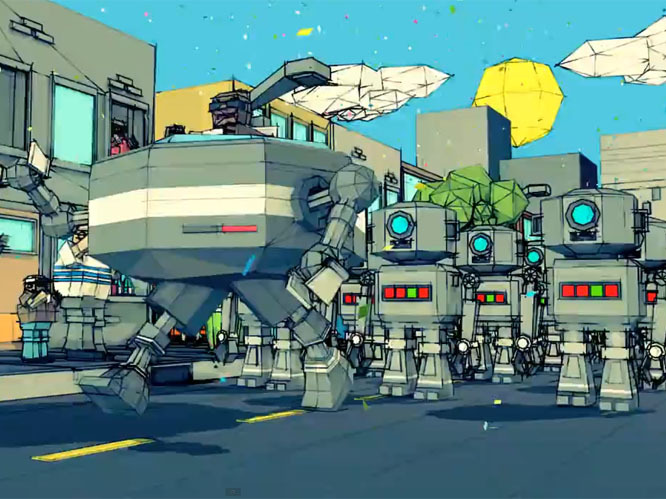 The video for 'Kill Your Co-Workers' shows a weird parade with nonsensical signs - and then all the attendees get killed by an army of robots. Gory, and definitely worth a watch. 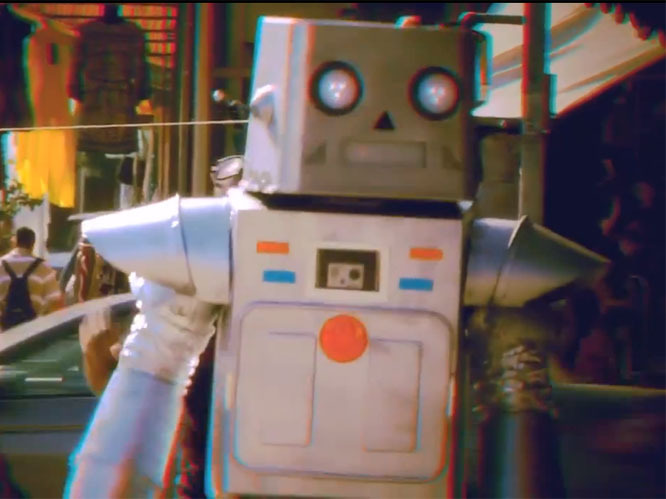 3oh!3: The Mike Diva video for 3oh!3 track 'Robot' features a robot pushing people around, hijacking bowling alleys and just generally being as irritating as possible. A great fit for 3oh!3 indeed. 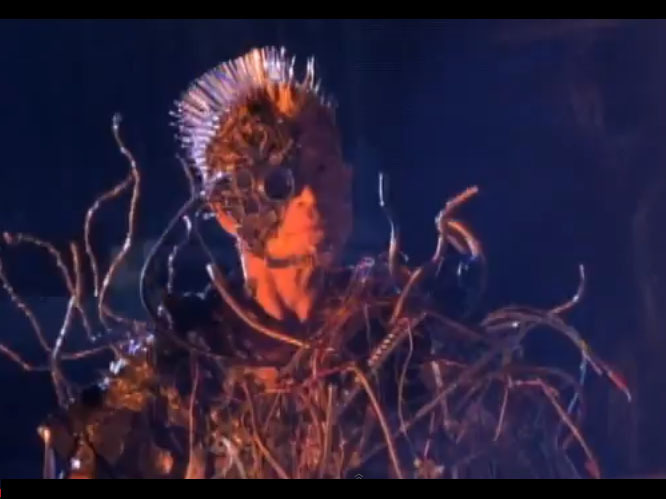 Billy Idol: Maybe he's more of a cyborg than a robot, but the video for Billy Idol's 'Shock to the System' shows the singer in a dystopian future. Cyber-cops beat a man, and then turn on an innocent bystander, who ends up getting his camera absorbed into his body. The camera-man cyborg leads the future rebels to victory. Still, having a camera as part of you can't be much fun. Chemical Brothers: In the video for 'Believe', a paranoid factory worker is terrified of the assembly robot he's in charge of. He imagines the machines watching and threatening him and sees them everywhere, even after quitting his job - as he is then chased to the top of the building by one of the arms, where it lunges at him before disappearing. The video basically ends with the man going crazy, and the robots disappearing. 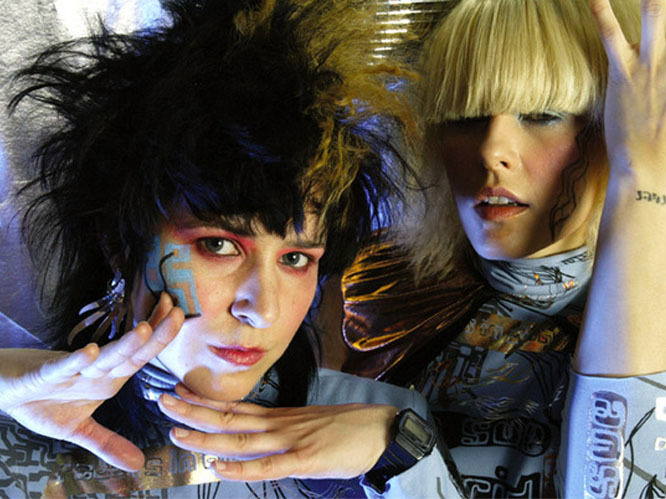 Robots in Disguise: The now apparently defunct electropunk duo made the list just for their name, really. As far as robots in music go, Robots in Disguise are representing their self-named 'robotliciousness' very well indeed - while not actually being robots.